Sometimes you want to feel miles away, even if it's just represented in a nail colour! I mentioned Nailtiques in a post back in January and this week I decided to throw on Nailtiques - Protein Nail Lacquer in Maui. 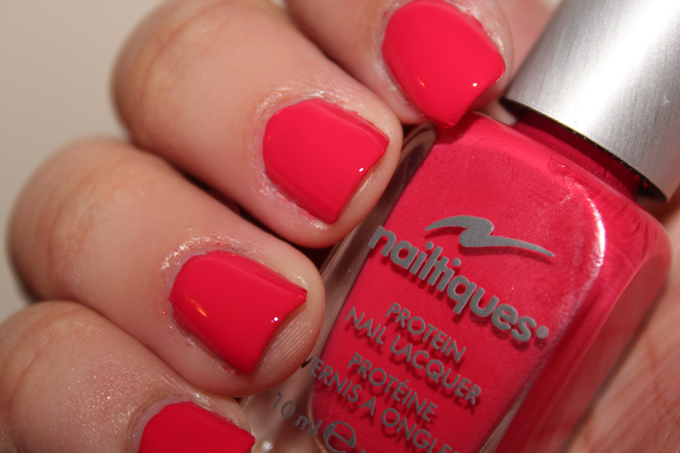 Something to help those grey skies seem not so bad when gazing at these pink undertoned red nail polish. Do you have a favourite rainy day nail colour? LOVE this color on you and the new header! I need this color asap!! ooh such a gorgeous colour for spring!